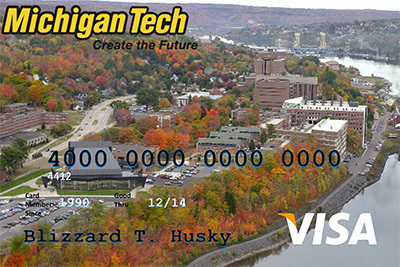 The Michigan Technological University Alumni Association has joined forces with Commerce Bank to offer its members the Michigan Tech Alumni Visa® Rewards Credit Card. 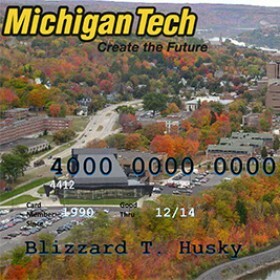 With the Michigan Tech credit card rewards program you can earn unlimited reward points redeemable for gift cards, travel, merchandise and more! Stay tuned—This card will be available soon! Convenience—Redeem points online anytime, anywhere. Flexibility—Thousands of options under one program. Simply pick the reward that meets your needs. Simplicity—Use your card for purchases, earn points and redeem easily online or by phone.